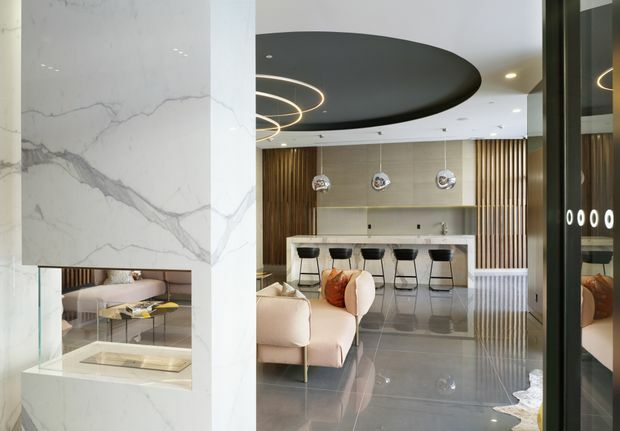 The lobby of the Oben Flats apartment building, designed by Superkül. To many people, the idea of scent as a design element is unorthodox, as it’s not tactile or visual, such as paints, wall patterns and pillow cushions. However, our sense of smell is deeply tied to the way we experience our spaces, and can be carefully calibrated to enhance how we feel – even how we perceive colours – as we move through our homes. But it’s not that most of us ignore scent entirely. Collectively, we seem obsessed with things that tickle our noses. According to Statistics Canada, 71 per cent of Canadians use at-home air fresheners. And, according to a 2016 study from market research firm Kline, North America’s home-fragrance market is worth more than US$6.4-billion and growing. Few homeowners, though, sit down with a scent designer and map out the olfactory experience of their abodes. Instead, it’s a lot easier, and much cheaper, simply to buy generic scented candles or perfumed plug-ins. Whiffloves candles, created by scent designer Trace Pepe. Fortunately, scent-savvy experts are increasingly producing off-the-shelf solutions to pair with home decor. Brampton, Ont.-based scent designer Tracy Pepe, owner of Nose Knows Designs, customized the scent for Oben Flats, in addition to scents she’s created for big brands such as Samsung and the Intercontinental Hotel. Her bespoke work can cost tens of thousands of dollars, but she has also recently introduced a consumer line called Whiffloves with scents averaging $15 to $36 that vivify the colours of a room, and instill a certain vibe. Her Orange has a spunky, lively scent the instantly brings fiery citrus tones to mind. Her Blue, which has lush, earthy undertones, works well with serene hues and helps instill a sense of intimacy. It might sound airy-fairy, but a 2016 study of scent at Wilfrid Laurier University confirmed those perceptions to be common among a sample of 193 undergraduate students at the Lazaridis School of Business. Aside from Pepe, earlier this year, Vancouver-based celebrity designer Jillian Harris released a line of three essential oils ($35 each) for Canadian scent brand Saje. “I have always said the aroma of my home sets the mood,” says Harris, whose Spa Spirit is designed for relaxing, and would work well in an en suite. “If you know me, you’ll know my love for taking some me time while away on work or vacation and hitting up a spa. This blend is really grounding,” she says. 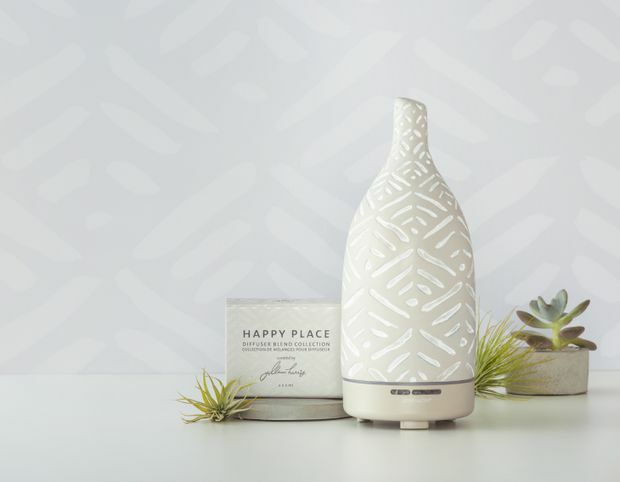 Jillian Harris's Happy Place scent, released by Canadian brand Saje. There are important health considerations when it comes to scenting spaces, though. While air fresheners can improve a room’s smell, they can’t cleanse a space of its underlying, odour-starting toxins or contaminants. If mould is resulting in a musty sniff, it’s best to hire a contractor to remediate the issue – not to simply mask it. It’s important, then, to not only be aware if you, your pets, kids or spouse have any allergies – vanilla might be lovely, but not if it makes you wheeze – but also to research what potentially harmful ingredients might be hidden within the scent. Many oils, for example, are diluted with alcohol, even though it’s a common irritant, because it’s an inexpensive way to help carry the scent through the air. Looking at the details also matters when it comes to the diffusion method. Some people avoid candles, say, because they find them smoky. But all-cotton wicks with soy-based candles, the kind used by designers such as Pepe, burn clean compared to synthetic, dollar-store alternatives.